Alfred K. Stern, a former Illinois housing administrator who was charged in 1957 with spying for the Soviet Union, died of cancer in June 1986 in his Prague exile, his wife said. He was 88 years old. 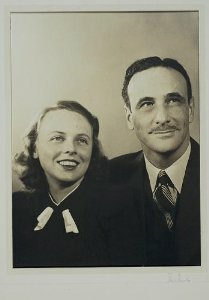 Mr. Stern and his wife, Martha Dodd Stern, left the United States in 1953 after being accused of subversive anti-American activities. They were indicted in absentia on espionage charges on Sept. 9, 1957. The indictment charged them with conspiring to act as Soviet agents, receiving American military, commercial and industrial information and transmitting it to the Soviet Union. The indictment charged that they used their house in Ridgefield, Conn., for meetings with Soviet agents. The charges were dropped 22 years later, in March 1979, when the Justice Department said witnesses considered essential to the case had died. In testimony before the House Un-American Activities Committee in 1957, the two were named as members of a Soviet spy ring in the United States. The charge was made by Boris Morros, a Hollywood musician and producer, who said he was a United States agent in the Communist movement for 12 years. Mr. Stern was born Nov. 29, 1897, in Fargo, N.D., into a wealthy family. In 1938, he married Martha Dodd, daughter of William E. Dodd, a historian who was the United States Ambassador to Germany in the days before the start of World War II. Mr. Stern served as chairman of the Illinois State Housing Commission and later as vice president of the National Association of Housing Officials and director and chairman of the Citizens Housing and Planning Council in New York. He also founded the Institute for Psychoanalysis in Chicago. In the early 1950's, the Sterns became early and persistent targets of Senator Joseph R. McCarthy and his anti-Communist investigations. The Sterns went to Mexico in 1953, then visited Prague in 1957 and, after staying in the Soviet Union for about a year, settled in Prague in 1958. In 1963, the Sterns went to Cuba and lived there until 1970 before returning to Prague. In Prague, Mr. Stern worked as a consultant to the Construction Ministry, using his expertise in housing and construction technology. Alfred K. Stern was a sponsor of the Scientific and Cultural Conference for World Peace which ran from March 25 - 27, 1949 in New York City. It was arranged by a Communist Party USA front organization known as the National Council of the Arts, Sciences, and Professions. The conference was a follow-up to a similar gathering, the strongly anti-America, pro-Soviet World Congress of Intellectuals which was held in Poland, August 25 - 28, 1948. This page was last modified on 26 June 2015, at 03:41.